Frontier Fire provides the best fire protection in Denver, Colorado. We’re based out of the main headquarters location, which is in the northeastern part of Denver. We opened our first office in Denver in 1960, which is where we made our mark as Colorado’s leader in fire sprinkler installation and maintenance. Now we’re growing rapidly and are able to offer new services, including fire alarm installations and maintenance, backflow testing, inspections, and more. Our team at Frontier Fire also offers 24/7 emergency services to ensure you and your building remains protected, no matter what time a crisis strikes. You can call us day or night to get the fire protection you need. For more than five decades, Frontier Fire has conducted fire sprinkler installation and design services for some of the most complex fire sprinkler systems in buildings throughout the Denver area. 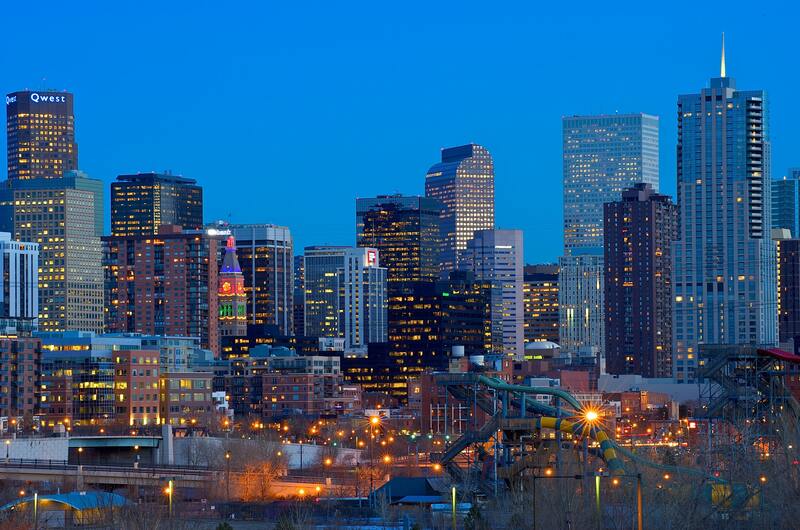 Our systems have defended lives and property throughout Colorado, including the Denver International Airport, DU Performing Arts Center, Amoco Building, Denver Civic Center Office Building, and more. Frontier Fire offers state-of-the-art fire alarm services and fire protection in Denver. We’re one of the top fire alarm companies in the Denver, CO area because we ensure your building gets the proper attention it needs. Whether it’s installations, inspections, repairs, or maintenance — our team will be there. If you’re in need of backflow testing in Denver, then look no further. Backflow prevention is an important part of fire protection and the safety of your building. It will ensure your water remains pure so there’s no risk of cross-contamination in your fire sprinkler system.